Pilot Testing – practice makes perfect! Oh boy, our countdown keeps dropping… We are only 3 weeks out from our departure date of August 3rd!! 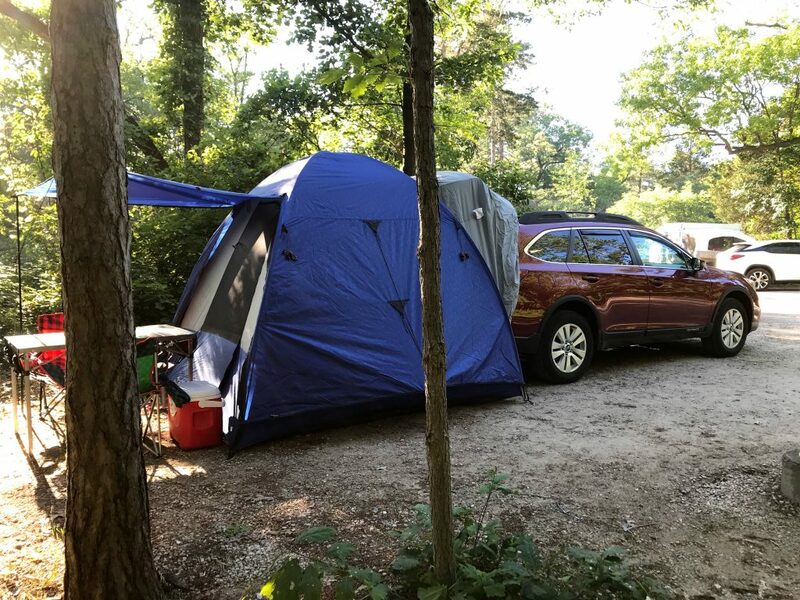 With the date creeping ever closer, we recently chose to dedicate a few nights towards pilot testing our car camping set up to ensure we’ve fixed and/or optimized everything before we begin living in Sue full-time this August. 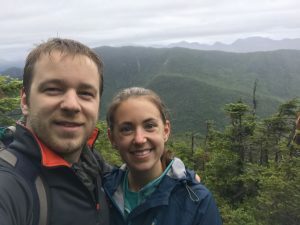 For our first test of the platform, we traveled with friends to the high peaks region in the Adirondacks. Our first night was spent on the trail, where we backpacked approximately 4 miles in the dark to a lean-to. On arrival we found the lean-to to be occupied by backpacks, but no campers to be found. Nearby a poorly strung food bag was left dangling less than shoulder height from the group – this was not going to stop a bear! So we set up our tents in the forest underneath a no camping sign, knowing that we could justify our choice should a ranger happen upon us. We woke the next morning to continue our hike to the top of Dix Mountain. The weather was rainy and the hike challenging but super fun! 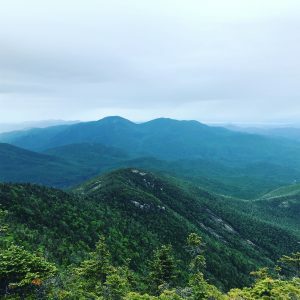 We bid adieu to our friends at the summit, as they continued onwards for 4 more peaks as training for their upcoming adventure to Mount Rainier. We spent the night at a trailhead near Lake Placid for the first big test of our platform since Antoine completed it. We found the platform to be quiet during the drive, and sturdy through the night, with no cracking or squeaking sounds coming from the wood. We also tested out my first curtain which crosses the front of the car and blocks our sleeping space from the front. I’d consider this curtain a success, but we were less lucky with our screens. I had only managed to make two screens in time for the trip and based on a Youtube recommendation, I’d decided to use small magnets to hold the screens up around the window frame. Let’s just say iteration #1 of the screens was not a success. The magnets were not dependable, and because of the forecast of rain we could not open the windows very much. It was also a humid night, so we decided to open the front windows as well. Rookie move! Without screens, we were inundated with mosquitos who woke us up periodically through the night with their buzzing. In the moment we thought there was only one or two that had made their way into the car, but the next morning we discovered we had underestimated them. Better, more reliable screens became our next big priority! We decided velcro would be a more dependable, permanent solution to our screen dilemma. I went about ordering three kinds of velcro to use for both screens and windows: velcro tape (around the window), velcro tape for fabric (screens), and sewable velcro (curtains). The velcro arrived just in time for pilot test #2: Pinery Provincial Park. We decided to make a 1 night stopover at the park on our way to visit Antoine’s brother in London. First of all, I can’t believe I’d never visited this park while attending Western University. It’s gorgeous, and less than an hour away!!! 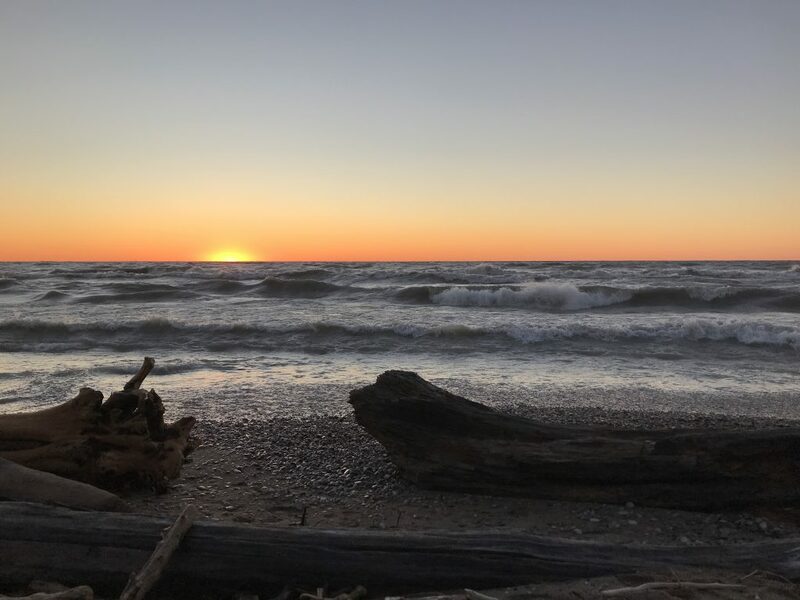 Thick Carolinian forests and Savannah Oaks reminded us of our recent trip to South Carolina, and we were impressed by the sand dunes and sunset over Lake Huron. 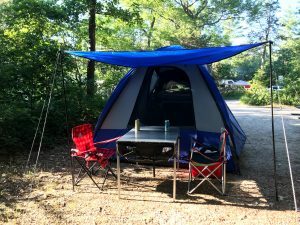 We also had a chance to finally set up our Napier tent extension for the Subaru! What a luxury this is! It makes the space in the back of the car feel much larger and more open. 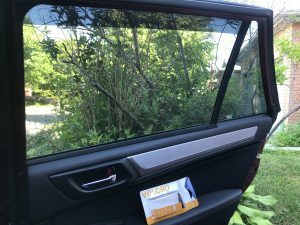 It also makes getting into and out of the car easier, and provides better airflow throughout. It almost feels like we have our own camper trailer when we have this thing set up, and we suspect it might be a shared reprieve from the mosquitos when we head up to the Yukon. But it hasn’t been all about prep! We also got to spend the first week of July with Antoine’s family, touring Ottawa and later London. Vegetarian meals were served a plenty throughout the week, and we were so happy to see his parents and brother’s family. 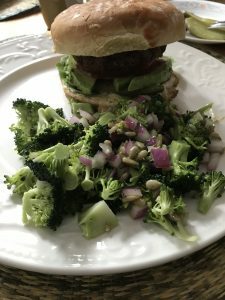 If you’re looking for great vegan recipes to try with friends and family, check out Grillable Veggie Burgers, Cauliflower Mushroom Tacos and Greek Power Bowls (sans feta). We really enjoyed these recipes last week and are left wishing that our families were at least 6 hours closer to us so these visits could be more frequent!! And speaking of family, my Uncle Craig recently visited the Yukon and collected a whole bunch of literature and maps for us along the way. It just arrived in the mail this week and we are SO excited!!! 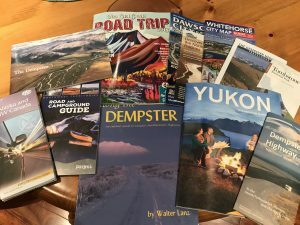 I had been meaning to print off some of the maps, but these are full colour books, maps, travel planning guides, campground and hiking trail guidebooks and more. I can’t thank him enough for thinking of us. That’s all for now folks! We’re sticking around Ottawa this weekend to continue our preparations. Sue recently had new tires and rims installed; so this weekend we will tackle the mud flaps and storage basket installations! Final work also has to be done on the platform to secure it to the car, and I’m hoping to start the side window curtains and do some dehydrating meal prep for the trip. Last but not least, I’m looking to buy some storage containers for underneath the platform so we can do a test packing session in the near future. Let’s hope these preparations make the last week before we depart a little bit less crazy? This week we’ve been busy preparing for our big road trip to South Carolina. Sometimes when you’re busy, food takes a backseat in order to get things done. Lucky for Antoine, food tends to be my first priority, and this week was no exception! Our trip was just the push we needed to take the shiny new dehydrator we received for Christmas out of its box. 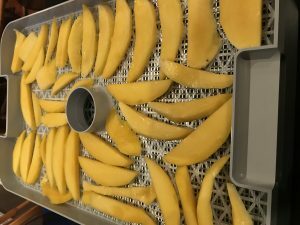 We started off easy, making dried mango overnight Monday as a sweet treat for the road. 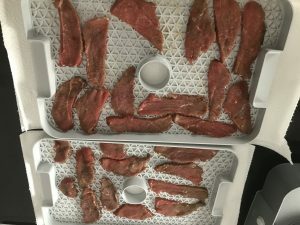 The mango turned out great, and gave us the confidence to try our hand at jerky next. A small eye of the round roast and simple overnight marinade, and we were on our way! We want to improve our slicing next time to ensure thin, consistently sized strips; but for a first attempt we’re very pleased with the results. I’m afraid the jerky may not make it to the road, as I keep catching Antoine sneaking slices. This tells me we’re going to need a lot of jerky to get us through the Yukon trip this summer!!! 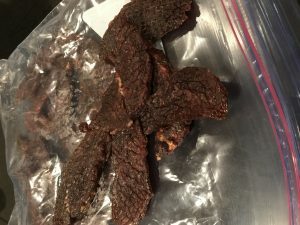 I’ll be keeping my eye on the flyers for sales on beef, but we’re also excited to try our hand at moose meat jerky thanks to a donation from my Dad. 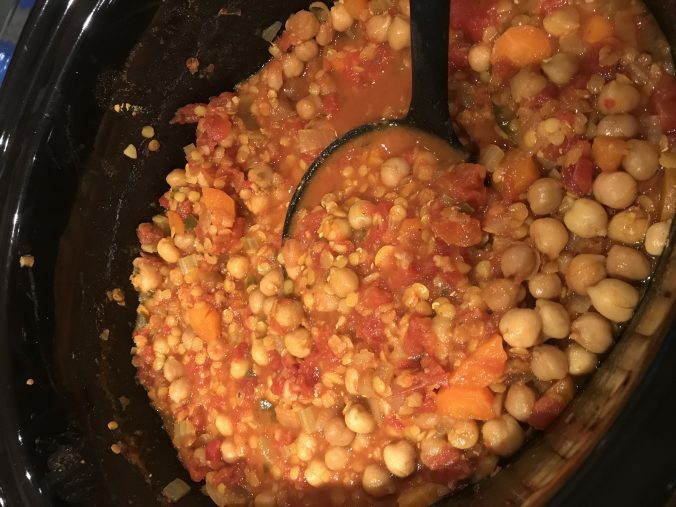 In addition to some trip treats, we also used our trusty slow cooker this week to help ease the cooking burden leaving more room for packing. 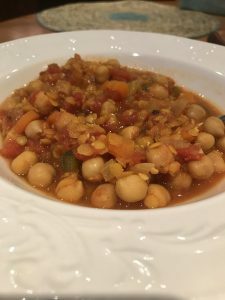 (Ok… I’ll admit I haven’t started that yet…) I know I promised a blog detailing our last trip south to Florida, but please accept tonight’s slow cooker recipe as a stop gap! I hope to finish that post sometime on the 17 hour drive to South Carolina. 2 teaspoons paprika – I used smoked, but regular paprika works too! Topping: Fresh herbs such as parsley, cilantro or mint. Add all of the ingredients to a large Crock Pot and stir. Cook on low for 8 hours, until lentils are tender and stew is thick and hearty. Serve with assorted herbs such as parsley, mint or cilantro if desired. Thanks for reading!! 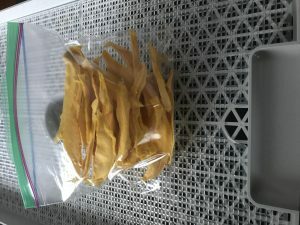 We hope you enjoy this recipe; there will be more to come as we continue experimenting with our dehydrator in preparation for backpacking and car camping this summer. UK Recap – Scotland by Car!